The impersonality of social relationships in the society of strangers is making majorities increasingly nostalgic for a time of closer personal ties and strong community moorings. The constitutive pluralism and hybridity of modern living in the West is being rejected in an age of heightened anxiety over the future and drummed up aversion towards the stranger. Minorities, migrants and dissidents are expected to stay away, or to conform and integrate, as they come to be framed in an optic of the social as interpersonal or communitarian. Judging these developments as dangerous, this book offers a counter-argument by looking to relations that are not reducible to local or social ties in order to offer new suggestions for living in diversity and for forging a different politics of the stranger. The book explains the balance between positive and negative public feelings as the synthesis of habits of interaction in varied spaces of collective being, from the workplace and urban space, to intimate publics and tropes of imagined community. The book proposes a series of interventions that make for public being as both unconscious habit and cultivated craft of negotiating difference, radiating civilities of situated attachment and indifference towards the strangeness of others. 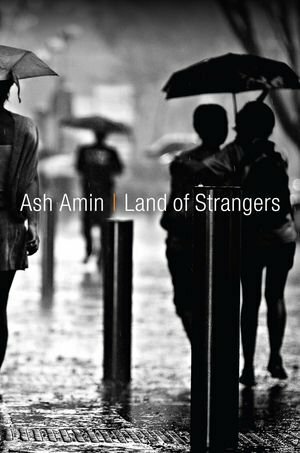 It is in the labour of cultivating the commons in a variety of ways that Amin finds the elements for a new politics of diversity appropriate for our times, one that takes the stranger as there, unavoidable, an equal claimant on ground that is not pre-allocated.